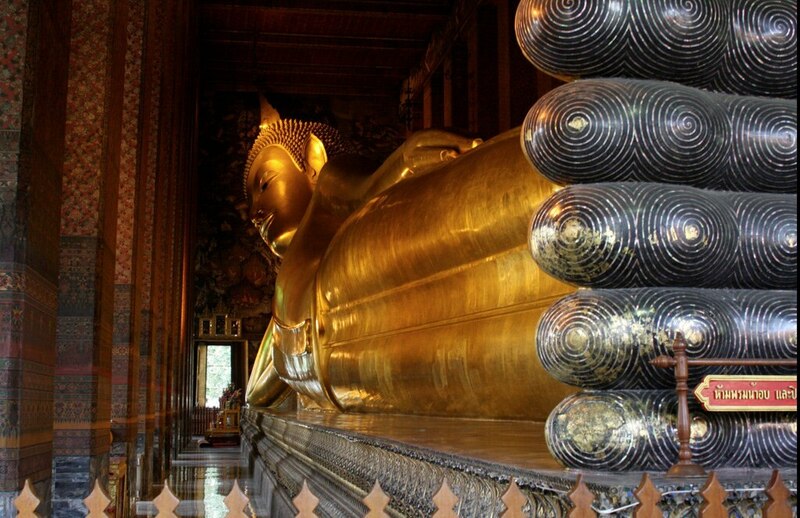 Bangkok is a truly wonderful place, boasting some of the world's most beautiful temples. Here are five unmissable sights to see on your visit to this magical city, all close to your Bangkok hotel. 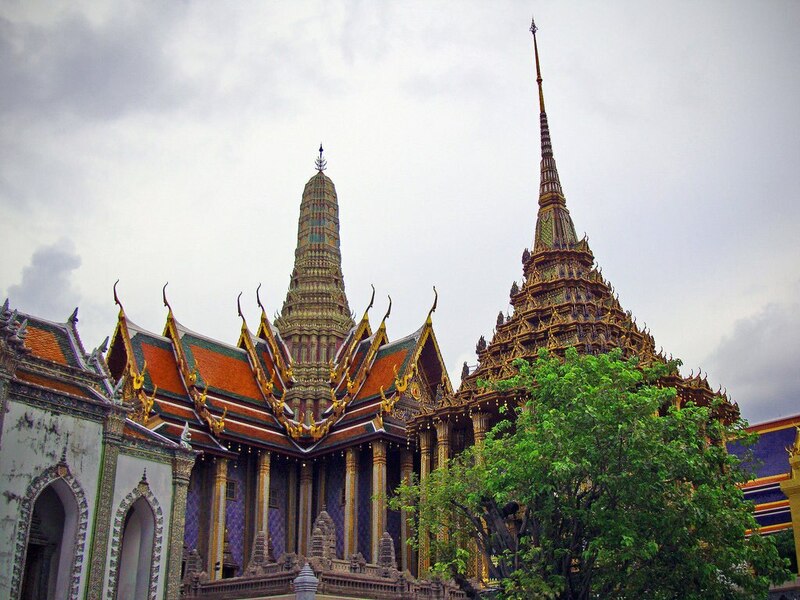 The Grand Palace is an absolute must-see on your holiday to Bangkok. Located on the banks of the Chao Phraya River, the palace is a vast complex of gorgeous buildings with gardens and pavilions. The palace as we see it today was developed bit by bit over two-hundred years, and it features many different architectural styles reflecting these periods and influences. As a working palace, it's only partially open to the public and is still used for official events, but it's also one of Thailand's most popular tourist attractions, with its intricate and beautiful structures, rich history and continuing cultural significance. The Temple of the Emerald Buddha (Wat Phra Kaew), which is regarded as the most sacred Buddhist temple in Thailand, is part of the palace complex, and home to the sacred jade Buddha figurine, a palladium of the Kingdom of Thailand. Just south of the Grand Palace, on Rattanakosin Island, you'll find Wat Pho, a stunning temple complex associated with King Rama I, who ordered the construction and refurbishment of the temple on the dilapidated Wat Pho site in 1788. The temple houses Thailand's largest collection of Buddha images, including the famous statue of the reclining Buddha, which is a massive 46 metres long and 15 metres high. Since 1955, this temple has also been a school of traditional Thai massage and medicine, and the national headquarters of these disciplines. Visitors can receive free massages at the classrooms where traditional and herbal massages are practised. Another temple that is not to be missed on a visit to Bangkok is Wat Arun, also known as the Temple of Dawn. While the temple has been around since at least the seventeenth century, its iconic spires were built during the reign of King Rama II, in the 1800s. These spires or 'prang' are encrusted with colourful seashells and bits of porcelain that catch the dawn light with a breath-taking iridescence, earning the temple its name. As with the Grand Palace and Wat Pho, there is a strict dress code at Wat Arun, because it is a sacred site. Be sure to dress modestly, with legs and shoulders covered and closed shoes. A wonderful way to see a cross section of Bangkok and some of its key attractions is by taking a cruise along Chao Phraya River. You can enjoy a delicious meal and fantastic musical entertainment on the boat as you gaze upon iconic sights such as the Grand Palace and Wat Arun. At night, the lights of Bangkok sparkle beautifully on the surface of the water, and it's something you'll never forget. 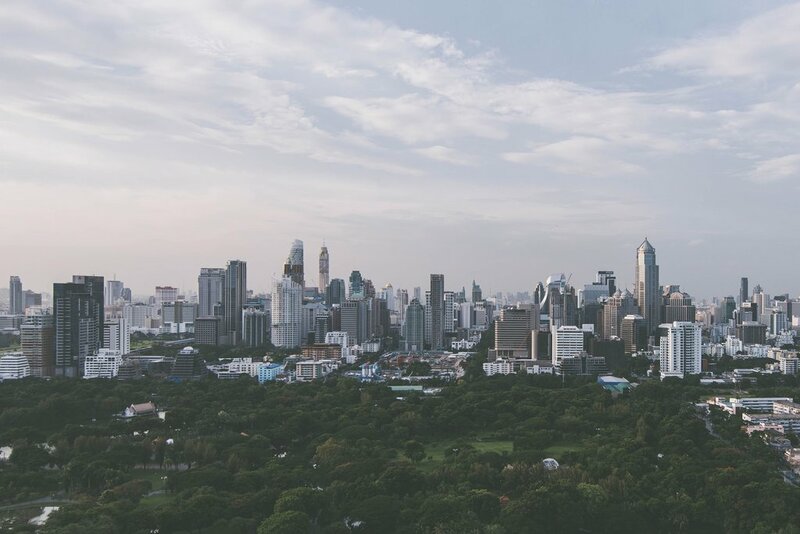 If you need a break from your exploration of Bangkok's beautiful temples and you're keen for a breath of fresh air, there is no better place to go than Lumphini Park, a wonderful green lung in the heart of the city, with copious trees and manicured lawns. In addition to entertainment and food options, there are many recreational activities on offer here for people of all ages and energy levels, including an outdoor gym and a peaceful lake where you can hire a paddleboat. You might even spot a water monitor lizard going about its daily business in the park. Beyond the green space, you can see Bangkok's skyscrapers reaching up towards the sky. Lumphini Park is the perfect spot to pause and take a moment to reflect on the beauty and wonder of this amazing city. 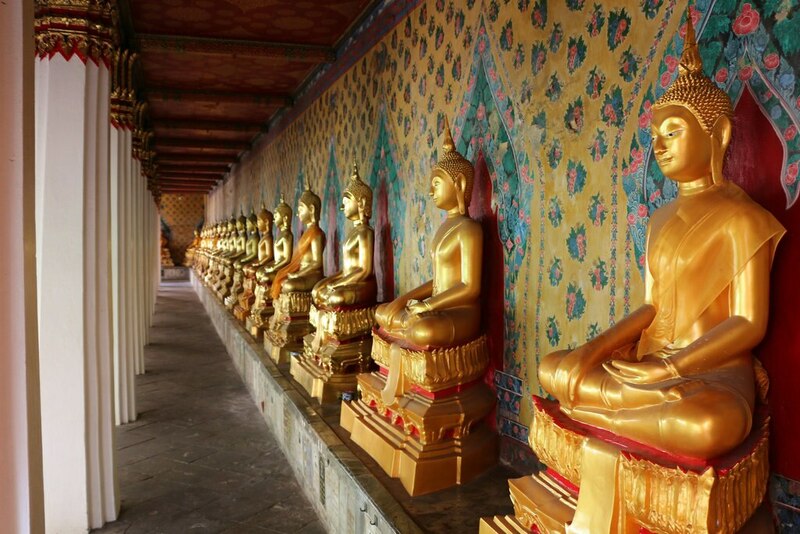 Which unmissable sights in Bangkok would you add to this list? Make sure to check out Bangkok holiday packages for more!